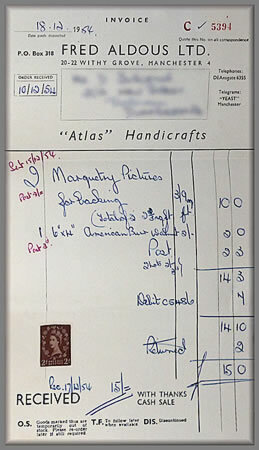 This page features a marquetry kit picture from the year of 1954.
years previously. Kit pictures such as this were very popular in the day. we find gives a more accurate end result. 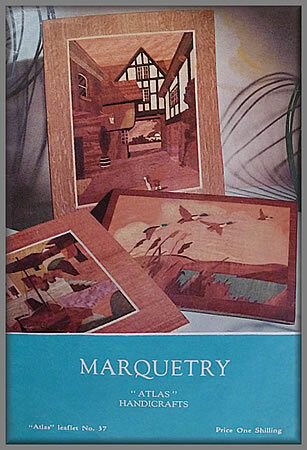 The marquetry kit leaflet, priced at 1/-0d. 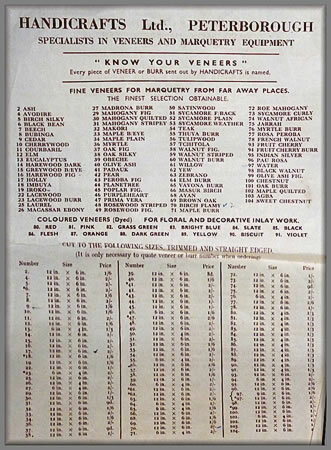 That is one shilling or 5p in today's money! 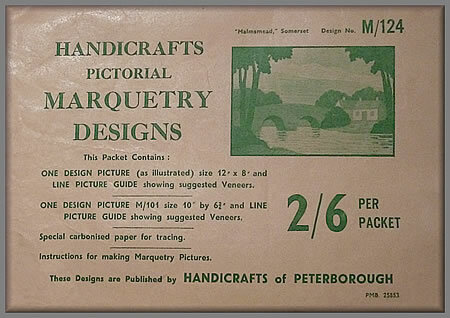 The marquetry kit itself priced at 2/-6d or 12.5 p in today's money. It is most enjoyable and enlightening.